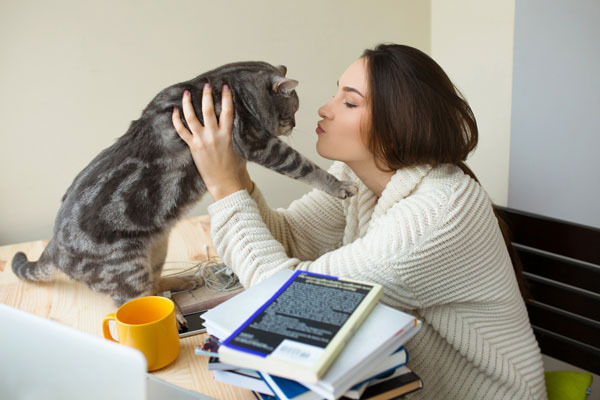 We all know someone who thinks of cat lovers as “crazy cat people,” especially if those cat lovers happen to be individuals who go out of their way to help their feline friends. There will always be people who don’t understand the appeal of cats or the reasons why we would take so much time and energy to help creatures they view as ungrateful or downright evil. But the fact is, crazy cat people deserve praise, and lots of it. Here are just a few reasons why. A cat kissing and licking his two humans. Photography by Lucrezia_Senserini/Thinkstock. Foster carers are the backbone of any animal rescue, and that’s particularly true for kittens. These tiny, vulnerable beings are at huge risk of getting very sick if they stay in shelters. 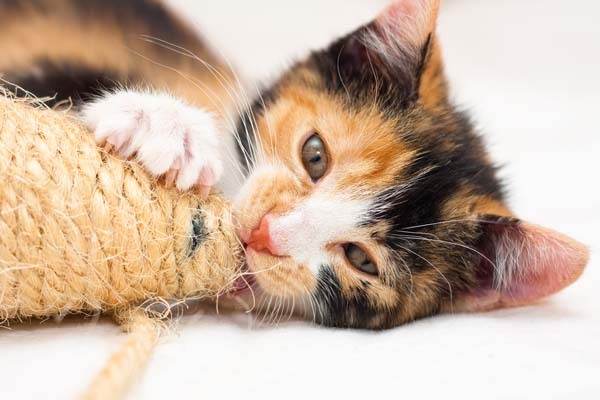 Their immune systems aren’t fully developed, and the upper respiratory infections that sweep through even the cleanest and best-kept shelters can kill kittens. If it weren’t for the crazy cat people who foster for shelters, thousands upon thousands more kittens would die in shelters. The crazy cat people who monitor and feed community cat colonies, and who lead the way in trap-neuter-return efforts, are a huge part of the solution when it comes to humanely reducing the population of feral cats. They also help eliminate one of the biggest potential public health hazards — rabies — because the cats are vaccinated against the disease when they’re neutered. It’s not the cats’ fault that they’re living on the streets, so let’s give thanks and praise for the people who care enough about animals who will never be able to love them back to provide assistance to them anyway. There aren’t a lot of people who have the time, skills, or energy to devote to an elderly cat or a cat with special needs. But the crazy cat people do. They will, for example, make and fulfill a bucket list for a 22-year-old cat. 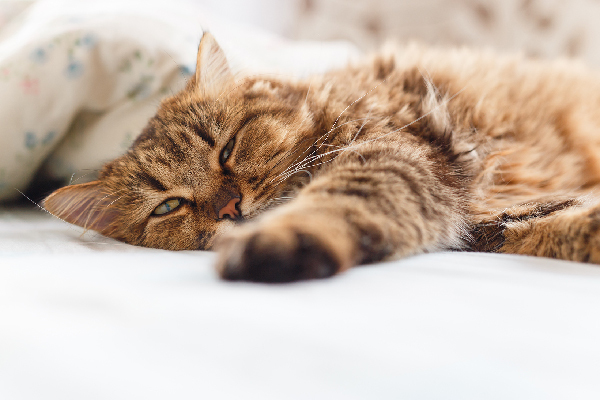 They’ll adopt cats with cerebellar hypoplasia, diabetes, heart murmurs, or other illnesses that are a challenge for many cat lovers to manage. If it weren’t for crazy cat people helping special-needs cats, we wouldn’t know the awesomeness of Lil BUB, Anakin the Two-Legged Miracle Cat or Oskar and Klaus. 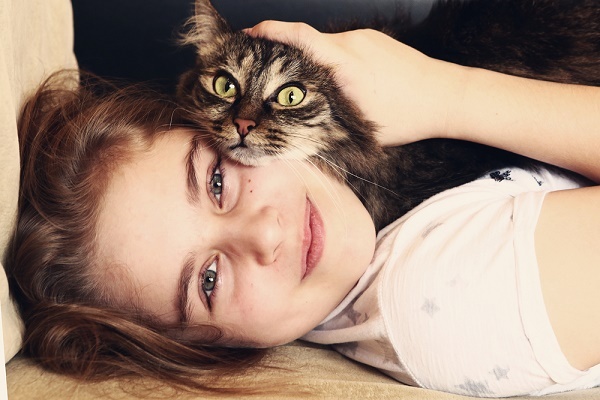 A teenage girl hugs a cat. Photography by Shutterstock. Crazy cat people are the cat sitters. They’re the staff at cat-only vet clinics. They’re the cat bloggers who help other cat lovers to do the best they can by their feline friends. They’re the entrepreneurs who start businesses catering to other crazy cat people. They help one cat lover at a time: They pay for a spay or neuter, they drive a friend to a vaccine clinic, they stop by an elderly neighbor’s house with cat food and litter. None of our lives would be the same without them. Sometimes despite their best efforts, shelters can’t meet all the needs of cats in their area. Instead of sitting on their butts and complaining, or succumbing to shelter drama, crazy cat people get up and take action. They save the lives of cats in the high-kill shelters of the Deep South. They fly cats from high-risk areas to places where they can be safe until they find forever homes. They spend countless hours counseling people with sick cats and raising funds for those cats’ care. And they do this all without any expectation of reward. They see a need and they step up. Crazy cat people aren’t crazy at all. In fact, I believe they’re some of the sanest people around. They give a voice to the voiceless, save the ones at risk, and give love to those most in need. That, to me, is the mark of a highly evolved and special human being, not one who should be ridiculed or shunned. I’d be proud if people thought enough of what I do to consider me a crazy cat person. 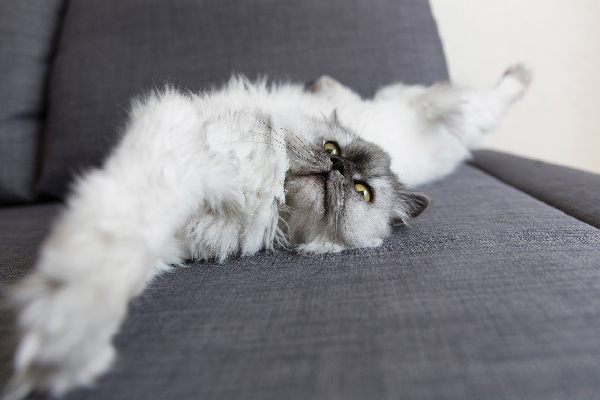 Tell us: Are you a crazy cat person? 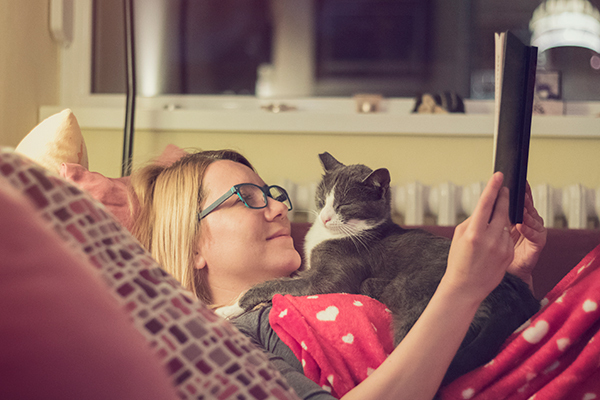 If so — or if you know of a crazy cat person who deserves to be recognized for his or her awesomeness — please sound off in the comments. 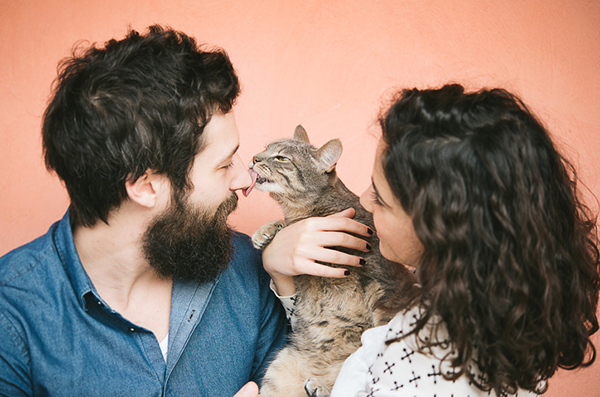 Were You a Dog Person Before You Were a Cat Person? I’ve done TNR for those who insist on being solo outdoors. I’ve taken in, socialized, and found homes for so many, I’ve lost count. Those that couldn’t find homes, found a sanctuary with me… filled with all the love, kibbles, toys, and treats they could handle. I’ve accepted the love and care of a diabetic, asthmatic Tuxedo with cattitude; I’ve bottle-fed one who’s now 17 and still acts like a baby with me. I’ve got one 19 yo with Cushing’s disease, and a Japanese bobtail who, at 14, developed constipation issues… to the tune of $200+ each time she had to go in to get cleaned out. I’ve given shots, meds, and hugs. I even gave an AIDS cat one night of comfort and love before I helped him cross the Rainbow Bridge the next morning. I currently have 10 sharing their lives with me, and most crawl into bed with me at night to sleep. I don’t think I could sleep without them! and Lord knows the last time I went to the bathroom by myself! There’s nothing I wouldn’t do for them… and them, for me. When I’m curled into a ball on the bed with a Lupus flare, they curl around me and give me their healing purrs. When I come out of the flare and into the depression that follows, there’ll be at least two who’ll act like jesters to cheer me up. And now, having moved close to my elderly mom, I head to her house each day after work to check in with her and take care of her two cats — including the playtime one likes, and the supervised outdoor stalking the other one insists on. And how wonderful, then, to open my own front door afterwards, to be greeted by my pride with meows, chirrups, purrs, and soft rubbing at my ankles. If I’m crazy, then I only wish there were more of us. It might soften the hardness of heart and spirit we seem to be surrounded by of late from the 2-leggeds. I’ll tell ya one thing… if Heaven doesn’t have my critters, I ain’t going! Yep, I am definitely a “crazy cat lady !” I have 14 and one is expecting. Every single one were rescues! It may require time, patience and money, but to me, the love and satisfaction I get in return is PRICELESS!!!! Yes I am a cat person I have a cat that I raised a four weeks old all he learned about being a cat he has learned on his own and he is 9years old now .and I do love him but I think he has arthritis and I can’t afford to take him to the vet as I am now retired and on a fixed income but I am doing the best I can for him. I would not trade him for anything .so I will just let you go and have a good day.